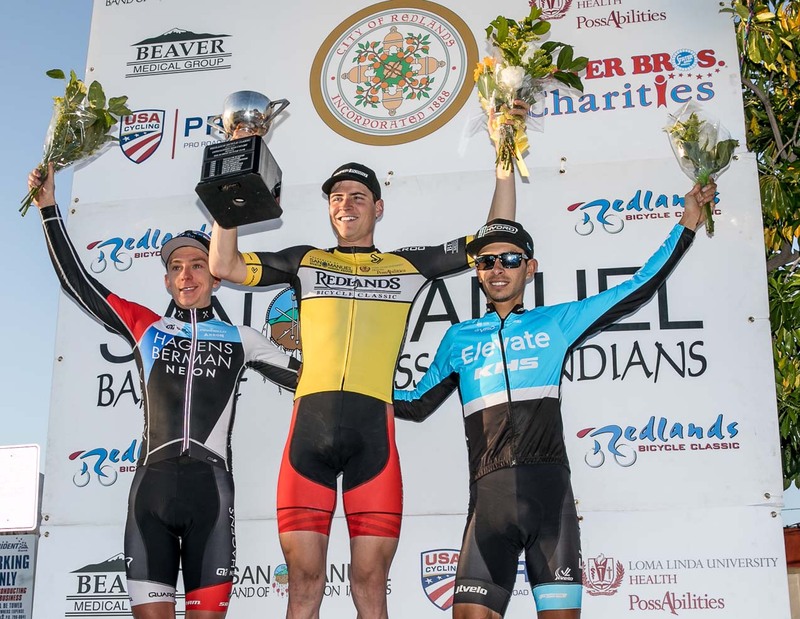 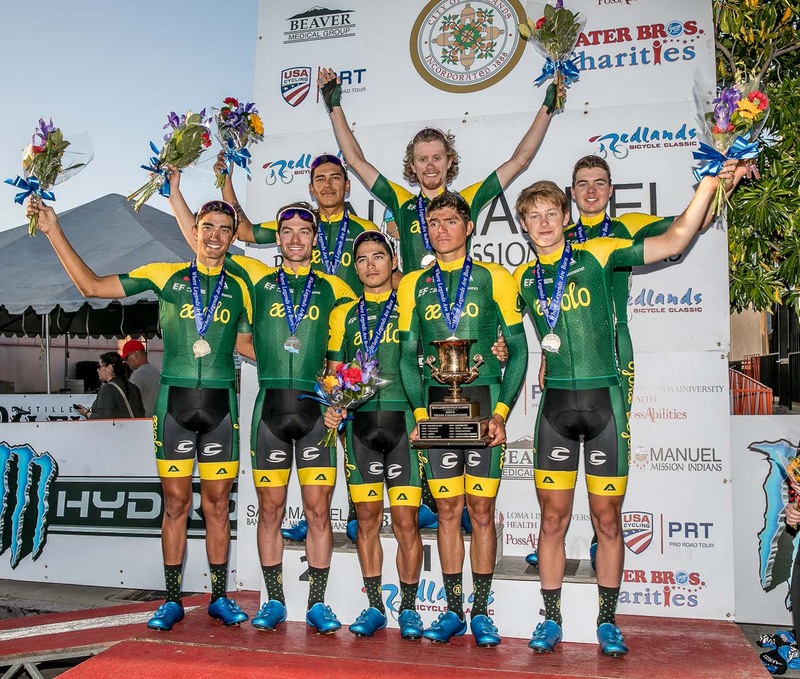 March 17, 2019 (Redlands, CA) – Cory Lockwood (Semper Porro) claimed the biggest win of his career after a gutsy move in the Sunset Loop Road Race, breaking away with five laps to go and hanging on with Quinn Simmons (Landis Cyclery) to the line. 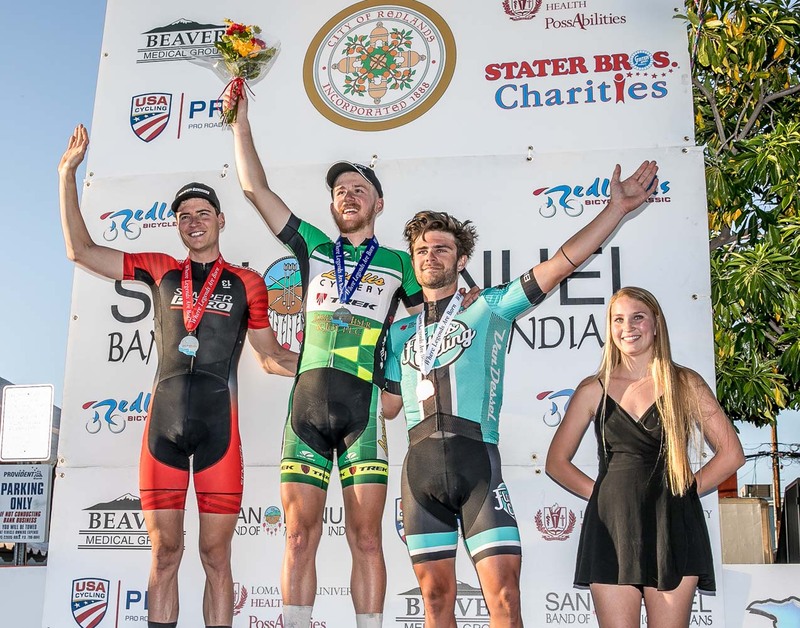 An early crash involving Sean Quinn and Thomas Revard of Hagens Berman Axeon, left Kevin Vermaeke with one teammate for the remainder of the race after the two were unable to continue racing. 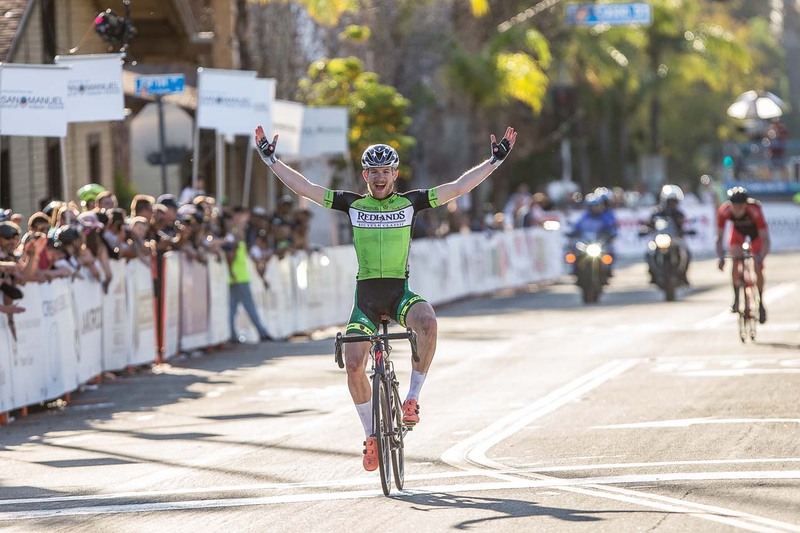 The unfortunate mishap caused some chaos in the bunch, with no one taking up the responsibility to chase .